The Greenstart digital cleantech accelerator in San Francisco shared details about its third class of startups last week—and about the way it helps companies prepare for the rigors of the real world. 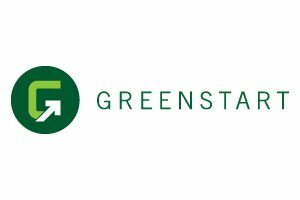 On the same day that it named its newest investments—in the areas of collaborative consumption, solar installation, power management, and remote device management—Greenstart said that it has distilled its strategy for cultivating startups into a “proprietary design methodology” that it has trademarked under the name Startup Design. People Power, based in Palo Alto, CA, is creating the layers of mobile software and cloud services needed to bring the long-heralded “Internet of Things”—in which more and more devices have a network connection and some level of smarts—closer to reality. Among other things, it has developed application programming interfaces that manufacturers can include in home or office devices such as thermostats to allow remote management—say, from a mobile phone. Started by Bitfone founder Gene Wang, the company is much farther along than a typical accelerator fodder: it has already raised a Series A round and has at least nine employees. PV Power is a Chicago-based startup that wants to help independent home solar installers find the best and most economical materials and components. Only about a third of the country is served so far by big solar-installation companies like Solar City, SunRun, or Sungevity, and PV Power’s system is meant to give independent electricians, roofers, and handymen access to the same kinds of data that lets these larger companies find the best deals on panels and other equipment. Root3, which is also from Chicago, is building analytics software for organizations that produce their own electric power, such as hospitals, universities, and military bases. Big utilities have been using similar software for years to predict how much power they’ll need to generate based on variables like the weather and the time of year; using the software at smaller utility plants can lead to savings of between 10 and 30 percent, the startup says. Here’s an edited writeup of my talk with Lowe. Xconomy: These four companies all seem pretty far along. Mitch Lowe: None of them are back-of-a-napkin-stage companies. All of them have a product in the market, with a little bit of revenue. We are definitely finding that that is our sweet spot—companies that have employees, revenue, and traction and have sort of validated their idea but aren’t sure about the business model, pricing, distribution, and building products at scale. X: That’s a different focus from most accelerators. ML: Most accelerators are about, “Let’s do group mentoring a couple of times a week, let’s help you build a pitch deck, and then let’s host a demo day.” Whereas we’ve got 12 full-time employees, all actively engaged with the startup employees coming through the program. We need a team that is a little more fully formed to get a ton of work done. Without a product on the market, there’s not really much you can do—it’s just theory. But if they are a little further along we can actually work on it, build stuff, design stuff, and change stuff. X: You’ve started touting a methodology called Startup Design—in fact you’ve trademarked the phrase. Talk me through that.